Beamsplitters allow a single beam to be split into two beams of differing power. The most popular power split is 50:50 at a 45° incidence angle, but other ratios are also available. The polarization needs to be considered when specifying a beamsplitter otherwise the reflected and transmitted beams will not have the correct power. ULO Optics has a special ‘polarization insensitive’ coating which eliminates this problem for the 50:50 case, reflecting 50% of both S and P polarization. Incident circularly-polarized radiation is split equally into two circularly polarized beams. 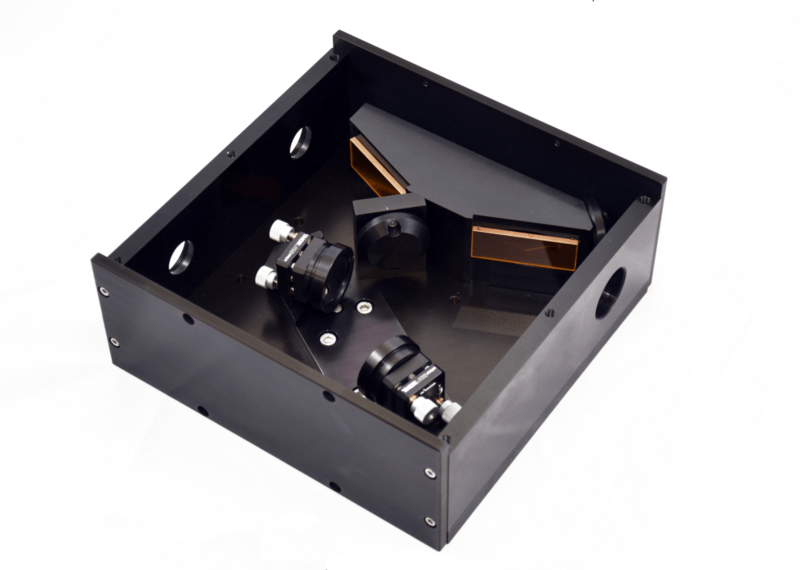 Germanium is used as one of the coating layers, so the coating is visually opaque, and the beamsplitter cannot be used to split visible pointing-beams. Due to the relatively high level of absorption in the coating, incident intensity levels should not exceed 500 W/cm2 in order to avoid thermal-lensing effects.